Eugene Sherayzen is the founder and owner of Sherayzen Law Office, PLLC. Since 2005, Mr. Sherayzen has helped hundreds of individuals and companies to solve their personal and business problems related to US and International Tax Compliance, Offshore Voluntary Disclosures, and International Tax & Estate Planning. 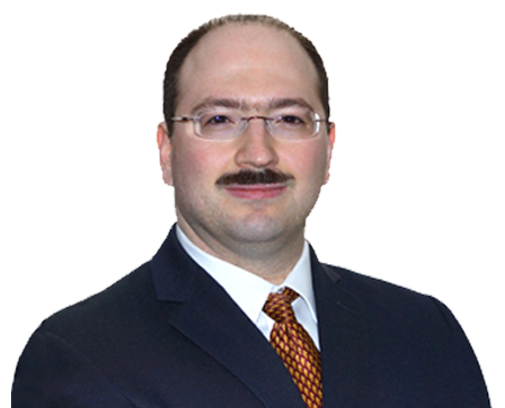 Mr. Sherayzen primarily practices in the areas of U.S. and international business and tax law. His main areas of concentration include International Tax Compliance, Offshore Voluntary Disclosures and International Tax & Estate Planning. Mr. Sherayzen is highly experienced in such complex areas as: IRS OVDP (Offshore Voluntary Disclosure Program) with its new offshoots of Streamlined Domestic Offshore Procedures and Streamlined Foreign Offshore Procedures, FATCA (Foreign Account Tax Compliance Act), FBARs (Report on Foreign Bank and Financial Accounts – Form TD F 90-22.1), PFICs (Passive Foreign Investment Company – Form 8621), FDE (Foreign Disregarded Entity – Form 8858), U.S. Ownership of Foreign Partnerships (Form 8865), U.S. Ownership of Foreign Corporations (Form 5471), Foreign Ownership of U.S. Corporations (Form 5472), and other related forms and regulations. Mr. Sherayzen regularly engages in complex international and domestic tax planning for businesses and individuals, including such areas as: foreign rental income, gold and other precious metals investments, foreign mutual funds, international corporate tax planning, international partnership tax planning, international tax and estate planning for business owners and high net-worth individuals, and other related areas. Art, Construction, Dentistry, Design, Internet, Learning Technologies, Liquor, Management, Manufacturing, Marketing, Medical, Music, Professional, Publishing, Real Estate, Restaurant, Retail, Sales, Software, Transportation, Technology. The 2017 U.S. Tax Reform: Seeking Economic Growth through Tax Policy in Politically Risky Times. International Business Law Section of the Minnesota State Bar Association, 2018 International Business Law Institute, April 19, 2018. Введение в налоговое законодательство США для граждан США и держателей «Green Card», проживающих или ведущих бизнес в Беларуси. (English Translation: Introduction to U.S. Tax Compliance for U.S. Citizens and Green Card Holders Residing and Doing Business in Belarus.) Presented in Russian. Minsk City Lawyer’s Association, Minsk, Belarus, June 9, 2017. Top Three International Tax Compliance Issues Every Corporate Lawyer Should Know. Corporate Counsel Section of Minnesota State Bar Association, CLE, October 24, 2013. IRS Foreign Asset Reporting Requirements. Edina Country Club (Ham&Eggs Group), January 11, 2012. Dealing with Government Agencies. Edina Country Club (Ham&Eggs Group), February 9, 2011. On the business side of his practice, Mr. Sherayzen has an extensive experience in international business transactions, corporate governance, and international sales contracts (Incoterms 2000, Incoterms 2010, and CISG). His deep knowledge of business and tax laws allows Mr. Sherayzen to offer his clients a unique creative approach to solving their business and tax problems (especially, Offshore Voluntary Disclosures), minimize their risk exposure, and confidently plan for future developments. Mr. Sherayzen is a member of the State of Minnesota Bar and Minnesota State Bar Association (“MSBA”). In the past, he served on the Council of various MSBA sections and committees, including MSBA Publications Committee, a Council member and Officer of the Corporate Counsel Section, and Council Member and various Officer positions of the International Business Law Section (“IBLS”) of the MSBA. He is currently the Vice-President of the IBLS and the Chairman of the IBLS Institute Planning Committee. Among his favorite hobbies are tennis and chess. In 2006, Mr. Sherayzen won Tornado Section of the Minnesota Open. He has found that the active rhythm of tennis and deep chess calculations complement his law practice well. Mr. Sherayzen is fluent in English and Russian; he also has a working knowledge of Spanish. Preventing the Disaster: Understanding When to File the Report on Foreign Bank and Financial Accounts (FBAR), MSBA Tax Section, Quarterly Newsletter, Volume 13 #7 (2010). Minnesota Unemployment Insurance: Independent Contractors in the Trucking Industry, MSBA Tax Section, Quarterly Newsletter, Volume 10 #5 (2008). Quiet Disclosure: The Russian Roulette of FBAR Disclosures, Sherayzen Law Office, 2014. Offshore Voluntary Disclosure Program: Key Requirements, Sherayzen Law Office, 2013. Impact of Form 8938 on the International Tax Compliance Structure, Sherayzen Law Office, 2012. Incoterms 2010: Most Prominent New Features, Sherayzen Law Office 2011. Form 5471: General Overview of the Required Information, Sherayzen Law Office 2011. Reporting Canadian RRSPs and RRIFs in the United States: Form 8891, Sherayzen Law Office, 2011. Reporting Payments to Independent Contractors: Form 1099-MISC, Sherayzen Law Office, 2010. Filing this Year’s Tax Return: Name Change as a Result of Divorce or Marriage, Sherayzen Law Office, 2010. Effect of the Foreign Earned Income Exclusion on the Self-Employment Tax on Business Activities Oversees, Sherayzen Law Office, 2010. House passes the Tax Extenders Act of 2009, Sherayzen Law Office, 2009. Report on Foreign Bank and Financial Accounts (FBAR): General Requirements, Sherayzen Law Office, 2009. Definition of Foreign Earned Income for the purposes of Foreign Income Exclusion under I.R.C. §911, Sherayzen Law Office, 2009. Understanding Foreign Income Exclusion under I.R.C. §911: General Information, Sherayzen Law Office, 2009.